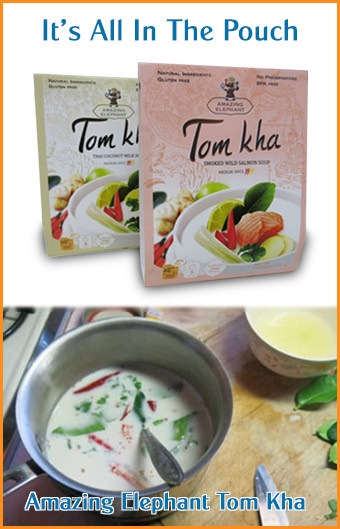 Hand-wrapping Miang Kham (see recipe). 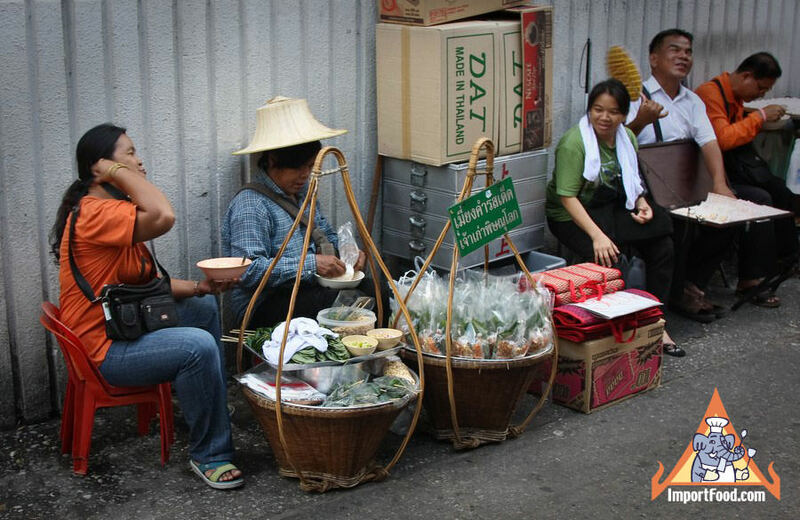 This vendor puts a long bamboo pole between the two baskets and carries them around the city on her shoulder. The sign says "Old Style Recipe from Phitsanulok".